BOB DWYER’S BIX & PIECES, what a lovely band for me to return to. Unfortunately, I missed a fabulous evening, last week (cataract op + others), so am hoping to be back on Friday (28th September 2018) to enjoy Bob’s super lot. 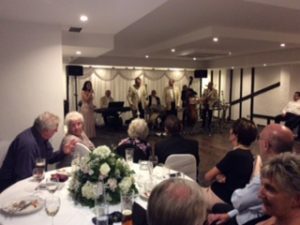 If you are reading this newsletter and want to know what I’m talking about, then get down here to FARNBOROUGH JAZZ CLUB (Kent) and join Keith and me – and find out for yourself. 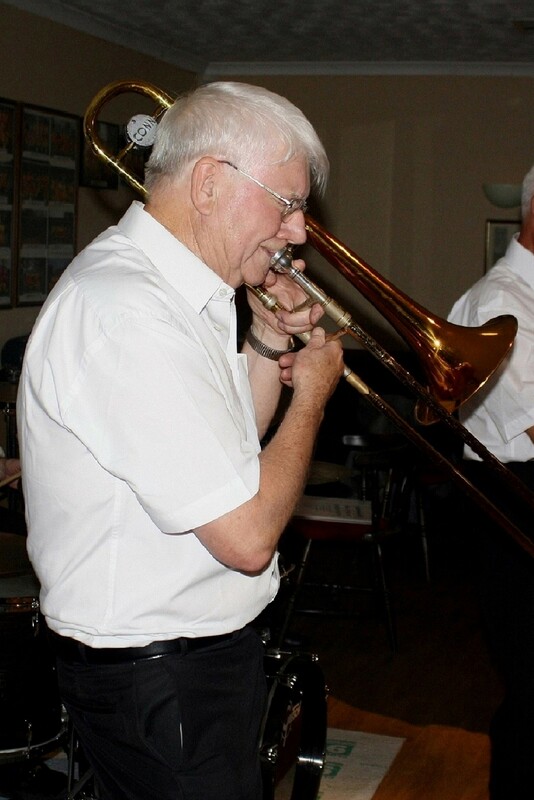 Band leader, BOB (trombonist & vocalist) will be joined by musicians, MALCOLME WALTON on trumpet, SARAH SPENCER on clarinet, alto & tenor saxes, with HUGH CROZIER on piano &vocals, JOHN BAYNE on double bass &bass sax, DAVE PRICE banjo &guitar and of course GRAHAM COLLICOTT on drums. Join us again for a great evening of dancing jazz. They will show the ‘Strictly Come Dancing’ bosses about playing the right music for the right dance. Yes, they make me angry, how can an amateur dance with feeling, if the music is wrong!!!!!!!!!!! Oops, sorry to let off steam! (Still like to watch it, though). This entry was posted in Bob Dwyer's Bix & Pieces on September 27, 2018 by Diane. 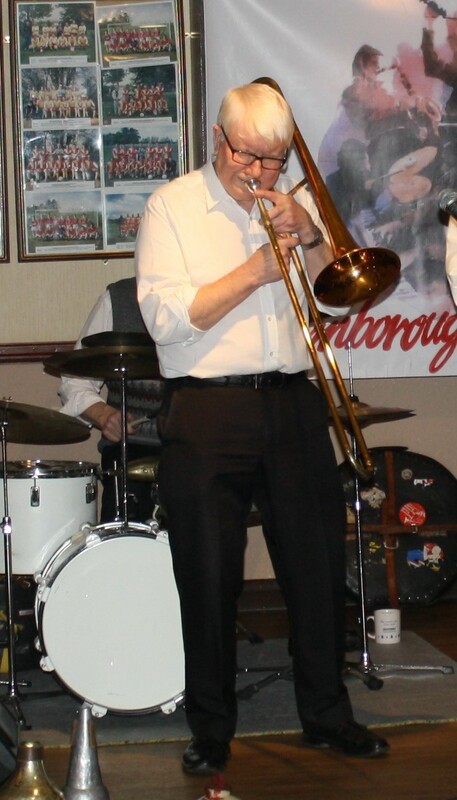 Bob Dwyer, trombonist & leader of ‘Bob Dwyer’s Bix & Pieces’ at Farnborough Jazz Club on 30th January 2015. Photo by Mike Witt. 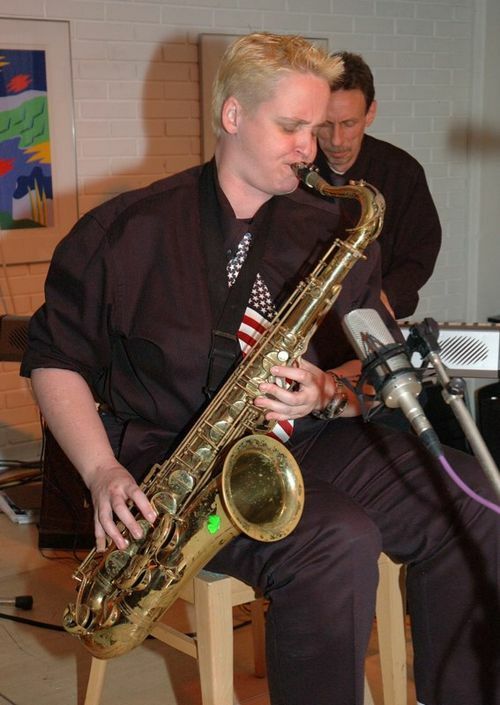 BOB DWYER’S BIX & PIECES is another favourite band of ours here at FARNBOROUGH JAZZ CLUB (Kent) and they are back on Friday, 4th May 2018. 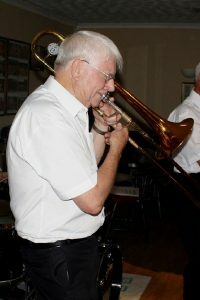 BOB (trombonist & vocalist) will be joined by MALCOLME WALTON (trumpet), SARAH SPENCER (clarinet, alto & tenor saxes), with HUGH CROZIER (piano &vocals), JOHN BAYNE (double bass &bass sax), DAVE PRICE (banjo &guitar) and of course GRAHAM CAULICOTTE (drums). 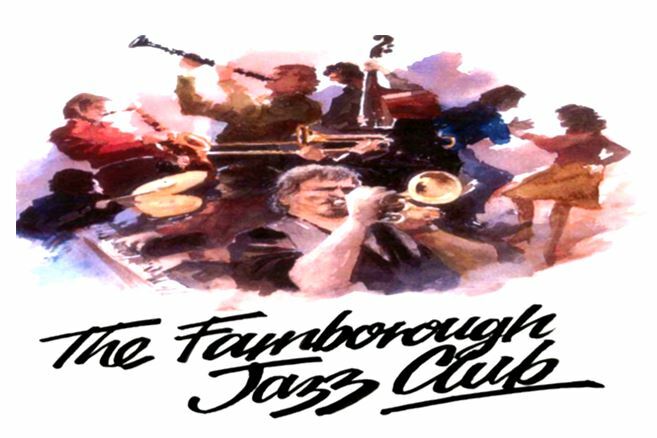 Looks like (dare I say) spring is back again, so hope to see everyone join us for a great evening of dancing jazz. This entry was posted in Bob Dwyer's Bix & Pieces on May 3, 2018 by Diane. 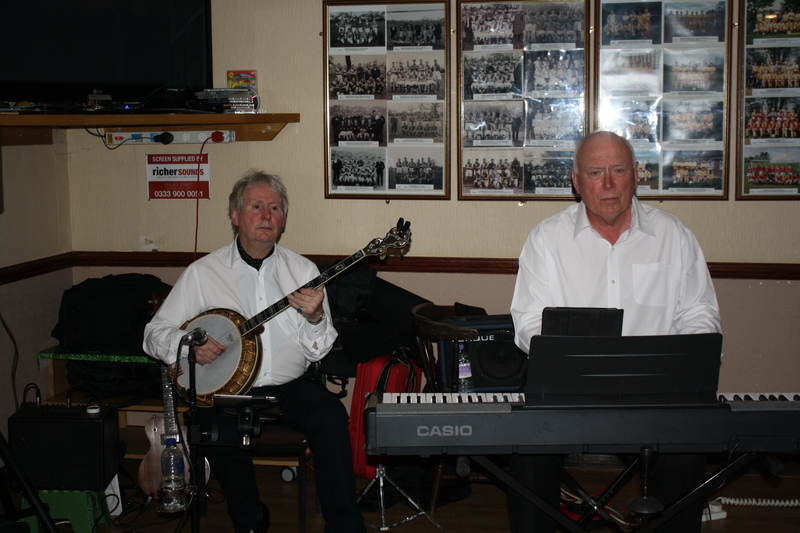 It is BOB DWYER’S BIX & PIECES’ first gig of the year back here at our FARNBOROUGH JAZZ CLUB (this Friday, 16th February 2018) and we can assure you, they will thrill your ears with many bits and pieces too with their super rendition of jazz. 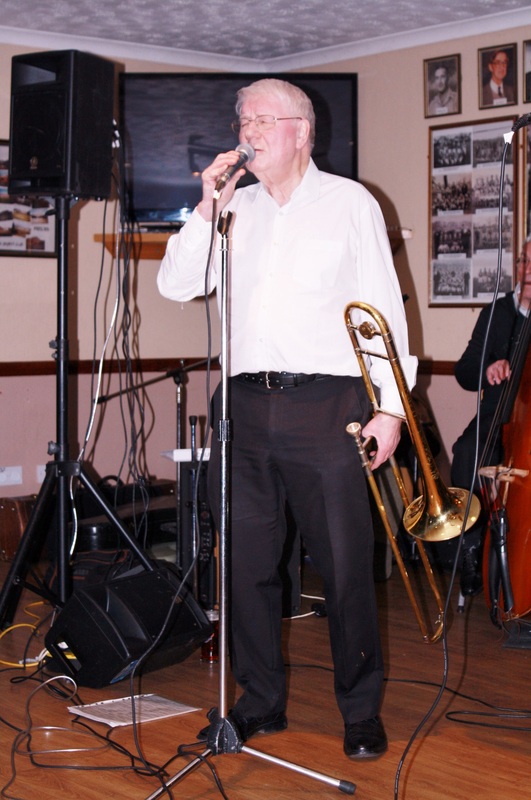 Trombonist & vocalist BOB has again booked MALCOLME WALTON on trumpet, with SARAH SPENCER on clarinet, alto & tenor saxes, HUGH CROZIER on piano &vocals, JOHN BAYNE on double bass &bass sax (that is nearly as big as himself), DAVE PRICE on banjo &guitar and GRAHAM CAULICOTTE on drums. 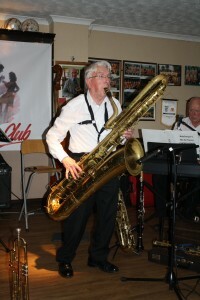 Yep, be prepared to have another great evening of jazz. Music certainly helps to keep you feeling young, aye! P.S. will back in with photo/s – just going to feed our stray cat! (sorry didn’t get back, will over weekend! This entry was posted in Bob Dwyer's Bix & Pieces on February 14, 2018 by Diane. I was ‘Granted’ on 8th October 2017, then Keith and I enjoyed a couple of days honeymoon, returning on Friday, 13th October 2017 for Bob Dwyer’s Bix & Pieces. 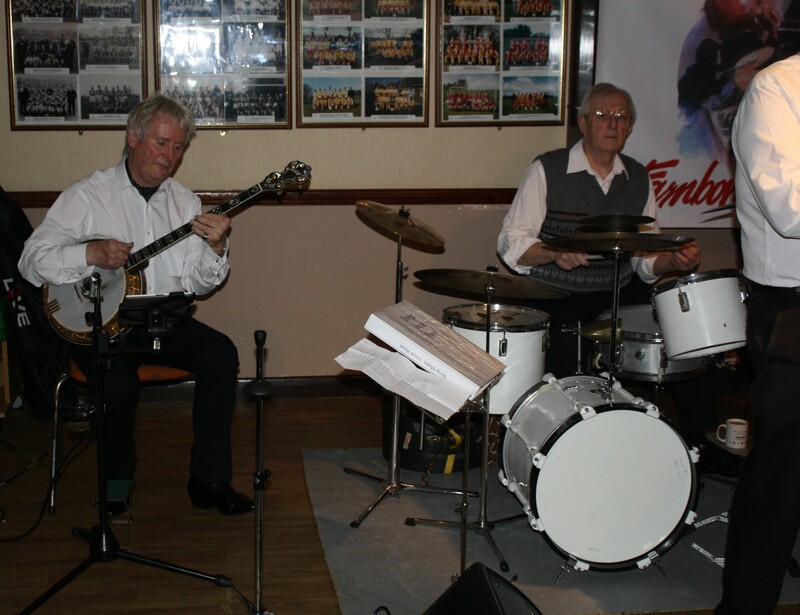 Hugh Crozier (piano) and Dave Price (banjo) with Bob Dwyer’s Bix & Pieces at Farnborough Jazz Club 18mar2016. Photo by Mike Witt. 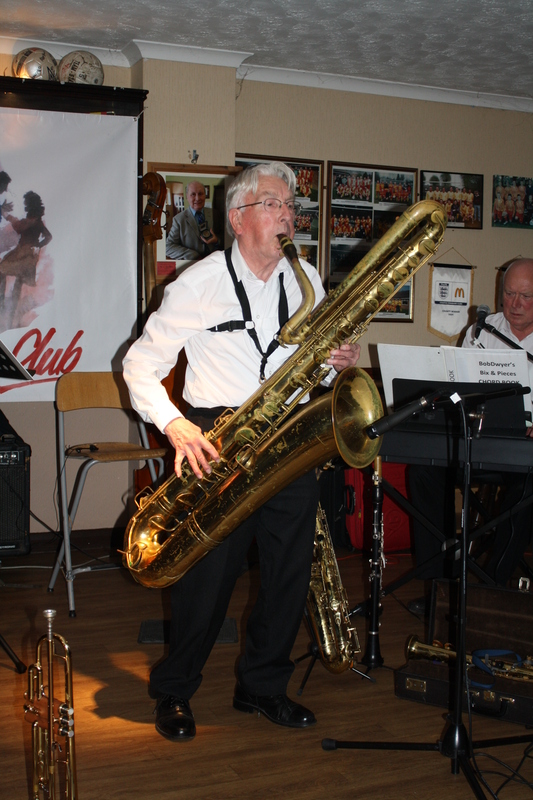 This week was the very first time ever that I had missed writing a newsletter to tell you of the band and the musicians who would be playing for us, since advertising our weekly Friday night jazz club some 25/30 years ago. Well I had very good reason for missing it, simply due to my being ‘GRANTED’. 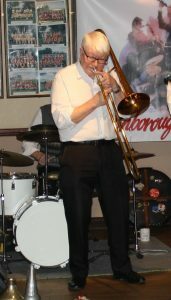 So sorry, but let me tell you briefly, we had the return of BOB DWYER’S BIX & PIECES, to FARNBOROUGH JAZZ CLUB on Friday, 13th October 2017. Trombonist &vocalist BOB, never complained we hadn’t advertised them, because it was a good turnout anyway. 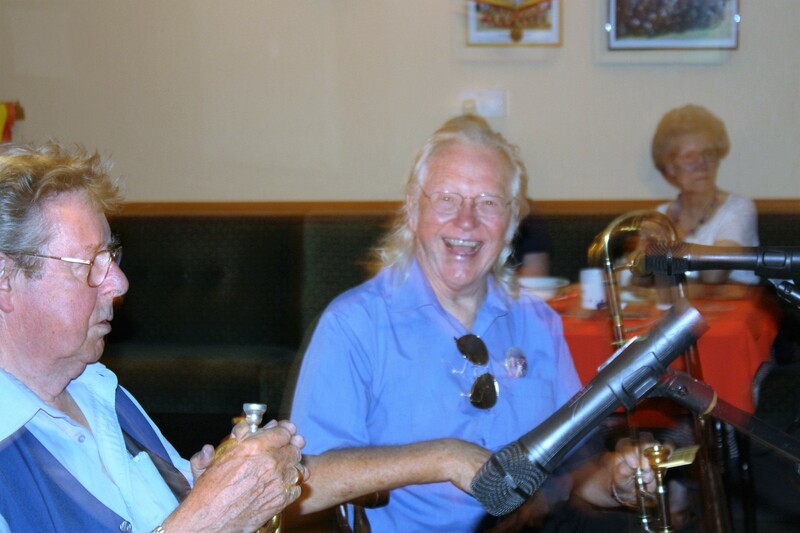 MALCOLME WALTON was on trumpet, with TIM HUSKISSON on clarinet & tenor sax, HUGH CROZIER on piano &vocals, JOHN BAYNE on double bass &bass sax, DAVE PRICE on banjo &guitar and GRAHAM CAULICOTTE on drums. Also MARILYN PRICE sang a couple of songs. What a great jazz voice she has too. Lovely evening. This entry was posted in Bob Dwyer's Bix & Pieces on October 20, 2017 by Diane.